Our next event will be a SINGERS AND MUSICIANS NIGHT on Monday 20th. November. There will be no bar (bring you own), no chips (bring your own crisps but eat them quietly) and no log Fire. and lighthearted banter to brighten your November Monday evening. Proceedings will begin as usual at 8pm and it will still cost just £1 to get in. Follow us there even if its just out of curiosity – you won’t regret it! 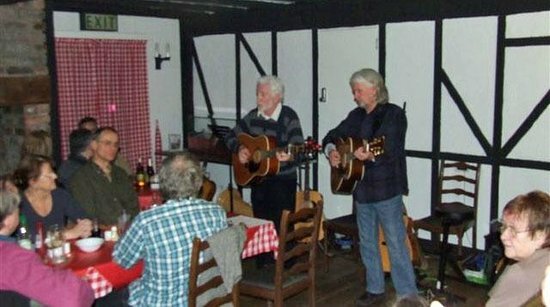 The Willows All Styles Music Club meets every third Monday of the month at this popular restaurant venue in Llandegla village. Admittance is £1.00 on the door including entry into the bottle raffle. Special Guest Nights may cost a little more. 8.00pm doors for an 8.15pm start.